I suspect part of the reason I like these so much is because they go on like a lipgloss and unlike traditional lipsticks, the doe foot applicator makes it so much easier. Once dried though, the lip creams become a true matte. As the name suggests, Bright pink is bold and eyecatching, whereas Fandago purple is bit more muted and easier to wear. In fact I've been lightly dabbing it on, then quickly blending with my fingertips for a more subtle everyday look. 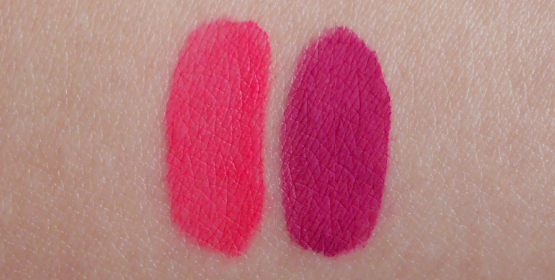 The great thing about mattes is that they last well on the lips. I usually apply once in the morning and it's enough to get me through to lunchtime. Whilst the Sleek lip creams aren't drying on the skin, they're not particulary moisturising either. For that reason I would still apply a layer or two of lip balm over the top (you can skip this step if you want a true matte). Overall though, I think these a real bargain at £4.99 each. 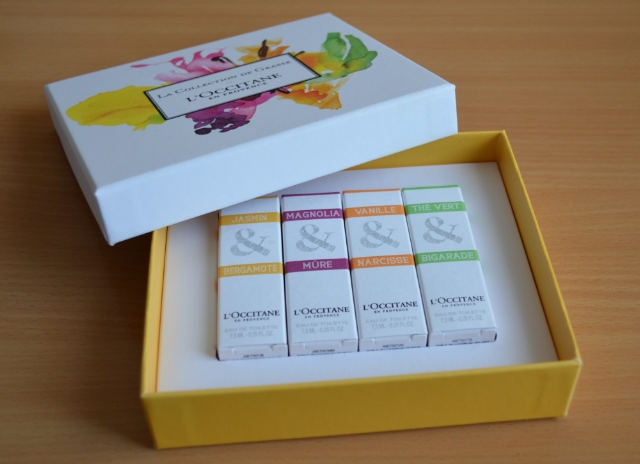 There are 7 colours to choose from and for a long lasting lip stain, you really can't go wrong! Have you tried the new Sleek matte me lip creams? 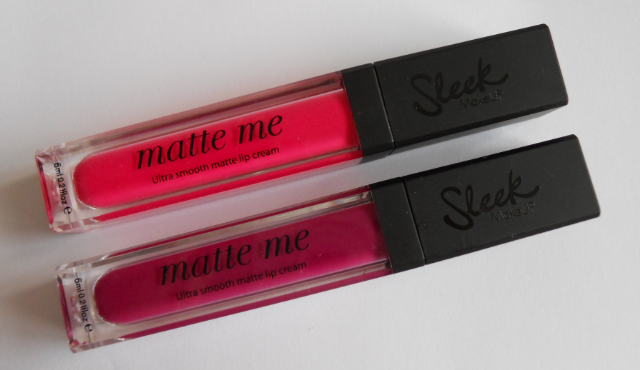 Do you prefer mattes or glosses? Each month with BeauteCo there are a choice of 3 boxes. I thought this month the boxes were very similar (only one product difference) but none the less, I'm really pleased with my little selection. Designed to deep cleanse and revive, the Arran aromatics face wash sounds perfect for my morning routine and given it's small size, the Melvita orange blossom face spray has gone straight into my in-flight travel bag for New York. There are 2 full sized Lord and berry lip products too, a brand that been raved about a lot in recent month, so I'm looking forward to giving them a try. Moving onto Glossybox, and they've gone for a global highflyers theme this month. Each of the 5 products are sourced from a different country and they're all designed to keep you looking gorgeous on the go. I'm particularly excited about the Oceane make up remover pen. Quite often I'll have mascara smudges by the end of the day, so this could potentially be a handbag must have for me. The Jelly pong pong eyeliner sounds really good, and given how much I liked the original Tresemme treatment shot, I have high hopes for this new keratin smooth version too. Overall, I think both companies have done really well this month. Beauty boxes can be so hit and miss, but when they do get it right, it's an absolute joy to open. For once I can actually see myself using up every single product and it's nice to be wowed by some big brands whilst at the same time being introduced to some of the smaller less known ones too. For more information and to sign up, don't forget to check out their websites here and here. 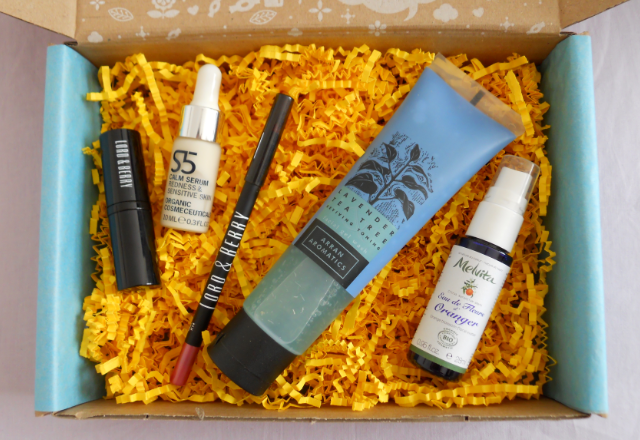 Are you a BeauteCo/Glossybox subscriber? What did you get this month? 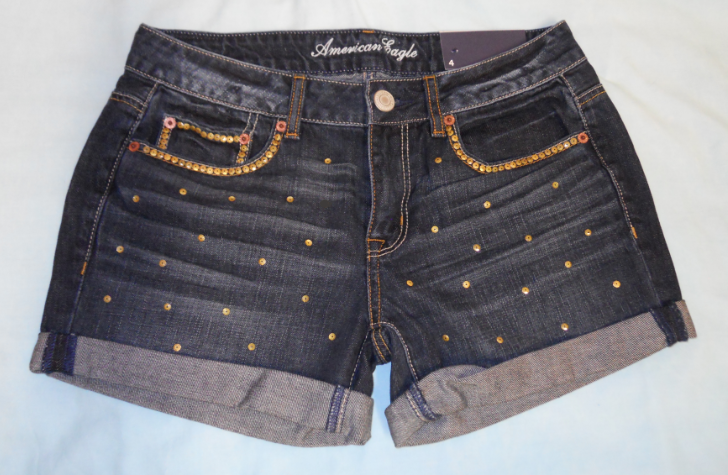 This particular pair of shorts had quite a biker, rock chic feel, and I decided to accentuate that with some gold studs scattered randomly across the the front and along the pocket lines. Of course, to wear these shorts my legs needed to be smooth and hair free. Usually I'm a shower gel and shave kinda girl, but the new Venus & Olay razor comes with a moisture infused soap bar already attached so there's no need to lather up beforehand. Compared to my usual cheap disposables, they are a bit more expensive, however it's so much more convenient and the 5 blades ensured a nice close shave too. Always a bonus in the summer, and I know I'll be stocking up ahead of my trip to New York next month. 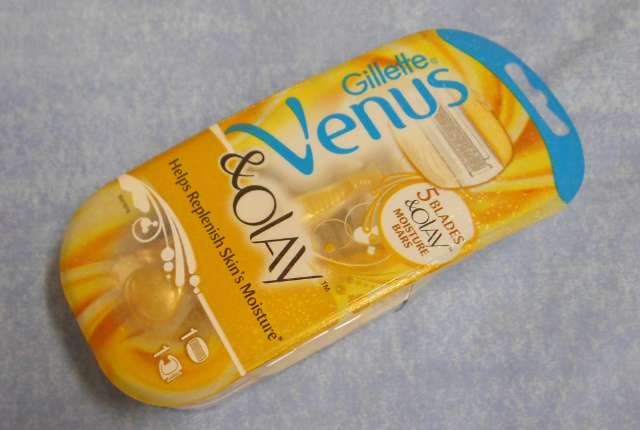 Have you tried the new Venus Olay razors? What do you think about my studded shorts? 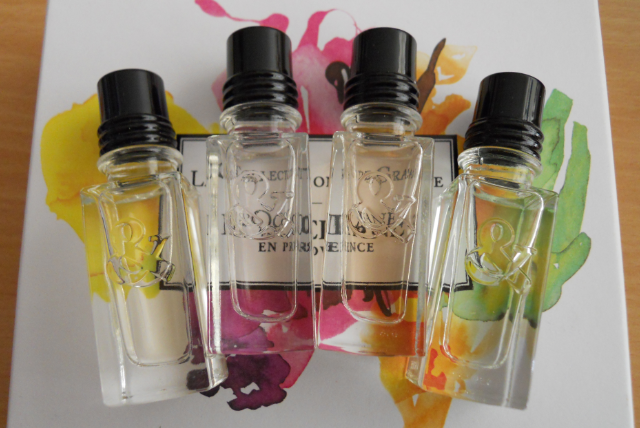 The four fragrances are Jasmin & bergamote (fruity floral with a woody base), Magnolia & mure (a heady floriental), Vanille & narcisse (sweet and spicy) and The verte & bigarade (fresh, clean and the most unisex out of the four). I very much tailor my perfumes according to the weather, and living in the UK, it's been great to have so much choice. On bright sunny days, I've gone for Jasmine and bergamot, and on colder more grey days I've gravitated towards Vanilla and narcissus. At first glance, the full sized bottles may seem expensive at £49 each, but having smelt them all, I'd say they're on par with other designer brands. L'occitane have sourced quality ingredients from around the globe and when you consider the fact that they're 75mls each, the price suddenly seems a lot more reasonable. They last well on the skin too. Overall, I think it's a lovely capsule collection of perfumes, and if you're on the lookout for a new summer fragrance, then then be sure to have a little sniff next time you pass by a L'occitane store. 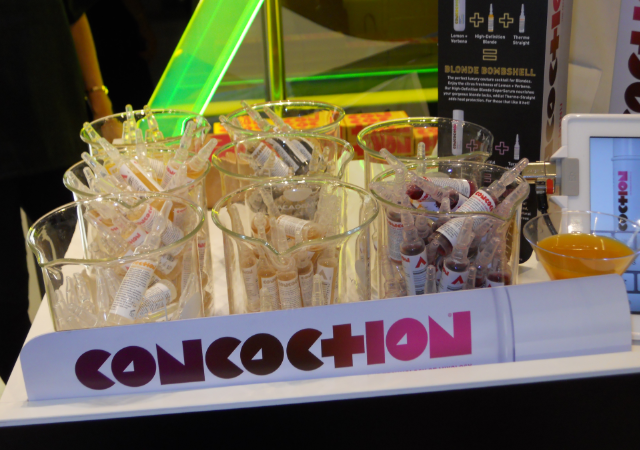 Have you had a chance to sample this new collection? Which one is your favourite? 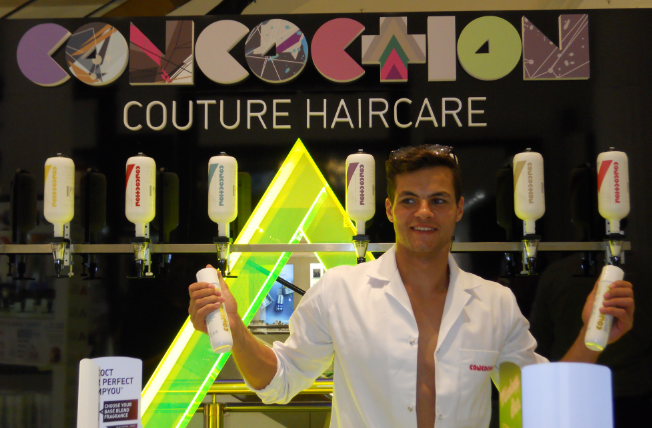 The brainchild of former Apprentice contestant Alex Epstein, Concoction is all about personalising your haircare, making it exactly the way you want it. Shampoo wise, there are 4 base fragrances, all of which are enriched with silk amino acids and essential oils. Once you've chosen your base fragrance, there are then 8 superserum shots to choose from. And with shots such as high definition blonde, thermo-straight, curl me up and back to your roots, you'll be spoilt for choice. With naturally straight dark hair, not surprisingly I went for beautiful brunette and turn up the volume. Base wise, I was given black pepper + citrus, which although masculine, was also quite refreshing. There's also a lemon + verbena one which I think will be my next fragrance. For conditioner, there's only one scent, but with extracts of cashmere and water lily I think it'll be very popular one. Having tried them out this week, it's it's safe to say I'm a big fan. 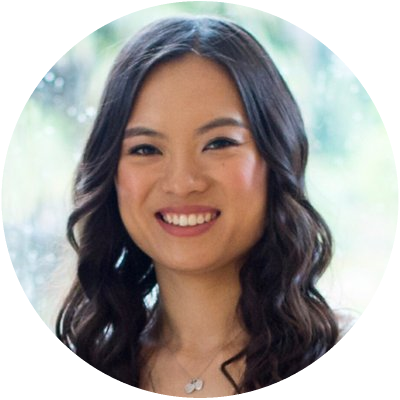 My hair will never achieve mega volume, but used together, it left my hair feeling clean, soft, shiny and bouncy. Definitely one to check out if you want to experiment with haircare or just want to 'admire' the mixiologists at work! 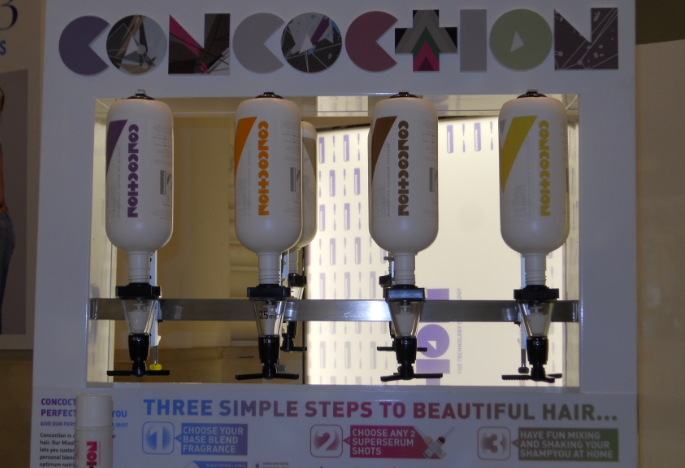 Concoction haircare, RRP £14 each, available online and for a short period as a pop up stall in Selfridges. Have you heard of this new range? What's two superserum shots would you go for? So as you can see a real mix of everyday essentials, and like last time, not a single item that I disliked. 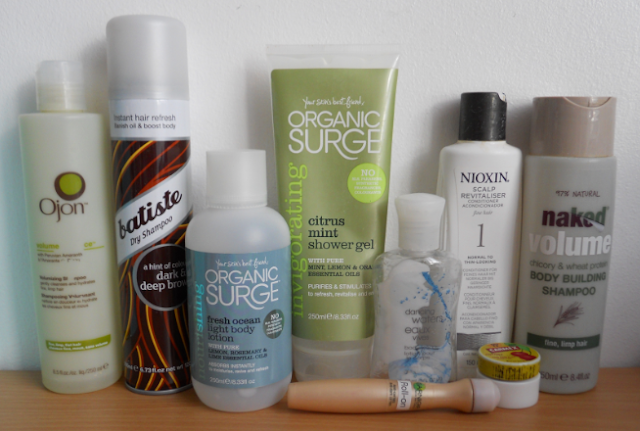 Special mentions to go the Organic surge body lotion, which was so refreshing and perfect for summer, and the Carmex cherry lip balm, which smells just like my favourite sour sweets!